Bill Condon’s adaptation/remake of Beauty and the Beast (2017) starring Emma Watson is a live-action version of the 1991 Disney musical animated fairy tale of the same name. It’s the story of a spoiled vain prince (Dan Stevens) cursed by an enchantress (Hattie Morahan) to live his life as a beast in an enchanted castle to learn a lesson about making value judgments based on appearance alone. The curse can only be lifted if someone loves him despite his beastly appearance before all the petals fall off the gift of a single red rose the enchantress, disguised as a poor old woman in need, had attempted to give him in payment for lodging in his castle during a storm. This sets the stage for the Beast’s interaction with a merchant named Maurice (Kevin Kline) who wanders into the enchanted castle years later after being set upon by wolves in the forest. As Maurice is about to leave he remembers his promise to bring back a single rose for his daughter Belle (Emma Watson). For stealing the rose he is imprisoned in the castle. Who will rescue him from the Beast; will it be the obvious hero? Keeping with the fairy tale theme the obvious hero does not rescue Maurice; it is his daughter Belle who, on the one hand is beautiful, while on the other hand is considered odd by the people of their town because of her bookish independence. She desires more than her town provides and spurns the advances of the local “heroic” heartthrob Gaston (Luke Evens) who wants to make her his trophy wife. 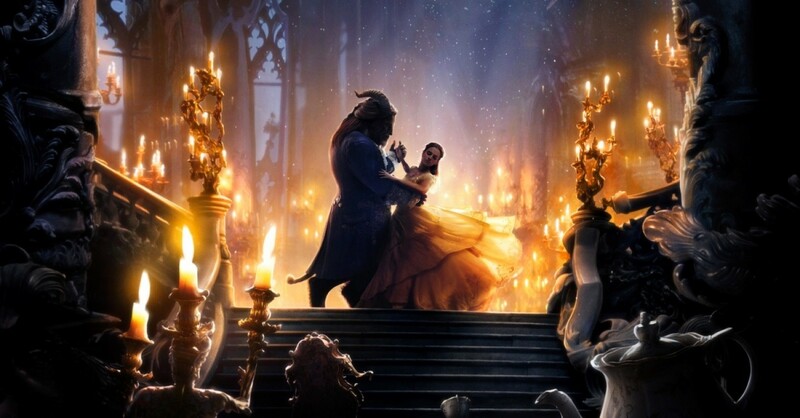 Eventually, Belle finds herself in the enchanted castle and trades places with her father to set him free. What follows is a problematic romance in which she falls in love with the Beast and, after a climactic crisis, the curse is broken and everyone (almost everyone) lives happily ever after. It is a fairy tale after all! Visualizing fairy tales on film is nothing new to Disney. Founder Walt Disney built an empire on fairy tales and was instrumental in fashioning the modern film genre. His first feature-length film was Snow White and the Seven Dwarfs (1937) and in the years that followed, Disney dipped into to the enchanted fairy tale well over and over again with offerings like Pinocchio (1940), Cinderella (1950), and Sleeping Beauty (1959). Snow White and the Seven Dwarfs was a giant commercial success and even garnered a 1938 Academy Award nomination for best score and an honourary Oscar in 1939 for innovation in film. Beauty and the Beast (1991) was also a critical and financial success for Walt Disney Pictures and, in an unprecedented move, in 1992 the Academy of Motion Picture Arts and Sciences included the animated film in its Best Picture category. It didn’t win. The Oscar went to the psychological crime thriller Silence of the Lambs (1991). However, Beauty and the Beast’s inclusion in the category marked a major shift in thinking for the Academy and audiences when it came to family entertainment and animated films. The unique nomination was instrumental in introducing an Oscar award for Animated Feature Film which in 2017 went to the Disney’s film Zootopia (2016). Beauty and the Beast (1991) marked a renaissance for Disney in animation and a resurgence in the widespread popularity the studio had gradually lost in the 1970s and ’80s. The cartoon came on the heels of another popular Disney fairy tale film The Little Mermaid (1989) and huge films like The Lion King (1994) and the innovative computer-animated film Toy Story (1995) were soon to follow. Why is any of this important? The empire Walt Disney built, with its iconic Disneyland fairy tale castle at the centre, is one of the most lucrative film studios in the world. Currently under its umbrella are the new Star Wars films and all the films produced by MARVEL Studios which together generate billions of dollars annually. While always innovating, Disney’s bread and butter has always been centred in family entertainment from amusement parks to merchandizing, to publishing, to film and television. Therefore, cultural consumers then need to remember that massive corporations like Disney, while interested in entertainment, are very interested in making money. Disney, like many corporations, will want to reflect what society embraces and avoid being “out of step” with the world for fear of losing revenue. Christian audiences will simply have to keep this in mind when it comes to everything produced under the Disney umbrella. This desire to compromise with the world is not Biblical. In fact, St. Paul writes in his letter to the Christians in Rome, “Do not be conformed to this world, but be transformed by the renewal of your mind, that by testing you may discern what is the will of God, what is good and acceptable and perfect” (Romans 12:2). 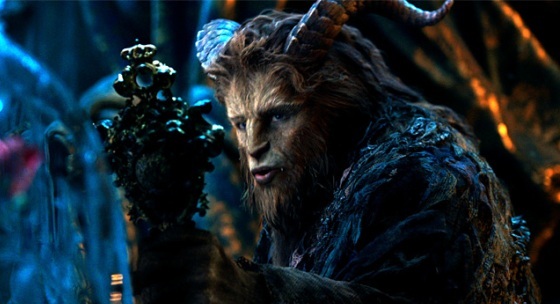 The current Beauty and the Beast has received a fair amount of criticism regarding its reshaping of the story to conform to current societal attitudes concerning LGBTQ issues. While the 1991Beauty and the Beast may have had some deeply sub-textual homosexual elements, the 2017 edition sets aside sub-text and more bluntly incorporates gay and transgendered elements. This should not be a surprise. A minimal amount of investigation will reveal the film’s director Bill Condon is openly gay and, like every other film maker, may want to express his views and opinions through his films. One of his first critically acclaimed films was Gods and Monsters (1998), a biopic of James Whale (Ian McKellen) the homosexual director famous for horror film classics like Frankenstein (1931) and Bride of Frankenstein (1935). Condon won the 1999 Oscar for Best Adapted Screenplay for his work as writer on that film so this is not new territory for him as a director. Disney would have been aware of Condon’s resume and lifestyle before engaging him as a director. Please keep this in mind: If Disney provides Condon with freedom to incorporate what he refers to as “a nice, exclusively gay moment” in Beauty and the Beast then audiences must likewise have the freedom to express their opinions about such content in the film. Beauty and the Beast (2017) is one film in a parade of live-action adaptations/remakes of classic Disney films.Recently Disney has produced films like Alice in Wonderland (2010), Maleficent (2014)—a new take on Sleeping Beauty (1959), as well as Cinderella (2015), The Jungle Book (2016), and the upcoming Mulan (2018). Parents and grandparents will have a new live-action Disney film to take the kids to every year for as long as the market will bear it. Because this juggernaut is pressing forward, families will want to think about how they engage with films like Beauty and the Beast and future films. It can’t be stressed enough that viewing films is voluntary and people are free to see or skip whatever films they like for whatever reasons they have. Parents are also encouraged to think about the films, TV shows and other media their children consume. Just because something is made by Disney doesn’t give it “a pass” when it comes to family entertainment. Likewise, families don’t need to canonize earlier versions of films that might be deemed more wholesome in comparison to current offerings. For instance, some see the nature of the love story in Beauty and the Beast (1991) as problematic since it resembles Stockholm syndrome a condition where the captive falls in love with their captor. This theme shows up in a variety of genres and can be found in many films from the light-hearted Goldie Hawn and Kurt Russell comedy Overboard (1987) to the classic fantasy film King Kong (1933), to Steven Soderbergh’s drama Out of Sight (1998) starting Jennifer Lopez and George Clooney and many more. Movies like Fifty Shades of Grey (2015) and Fifty Shades Darker (2017) also reflect this theme. 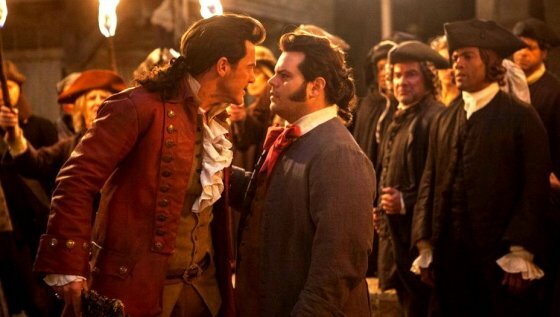 Apart from any LGBTQ content in Beauty and the Beast viewers may also want to consider the age-appropriateness of Beauty and the Beast’s central heterosexual themes which some will recognize as broken and abusive. Such criticisms of films like Beauty and the Beast (1991 and/or 2017) must be made with an understanding that society is disinclined towards discernment when it comes to films which, on the surface, come across as wholesome as compared to many obviously problematic offerings. Parents and guardians are charged in their vocation with making discerning judgments concerning what their family watches and how they talk about the content with their children. Some parents will justify taking a three-year-old to see an R rated film like Logan (2017)—which is clearly not for children—by saying “it’s just a movie.” This reasoning does a disservice to the filmmakers whose vocational life’s work is creating films. For this reason, it is fair to consider the worth of a film, whether it is serious or silly in nature. Christians are therefore encouraged to apply their Christian faith, their Scriptural knowledge and likewise their confession of faith to everything and anything they view. Be encouraged; there is nothing wrong in doing so. It is more than reasonable to point out if something is sound or unsound morally or doctrinally. It is one of the responsibilities in being head of a household or pastor. Is this new rendition of Beauty and the Beast any good? It is about as good as a live-action adaptation/remake can be. For the most part it sticks much closer to its source material than other Disney live-action films. 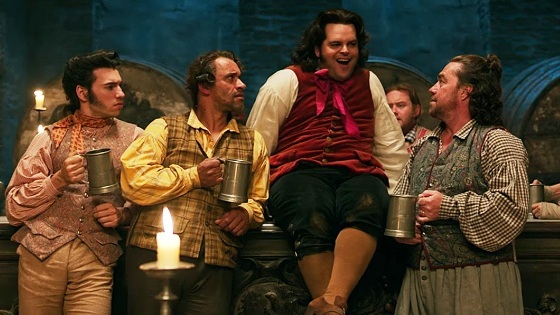 And while Condon and the pre-release publicity have downplayed the LGBTQ themes, it’s safe to say that every scene featuring Gaston’s sidekick LeFou (Josh Gad) is obviously filled with LGBTQ content. As the Toronto Star noted, for some this character will be too gay; for others he will not be gay enough. In the end, most people don’t seem to care either way about the LGBTQ question or about any other aspects concerning the film’s appropriateness for family viewing. After all, LGBTQ characters are all over network TV which is intended to convey a new "normal." The numbers tell the story. 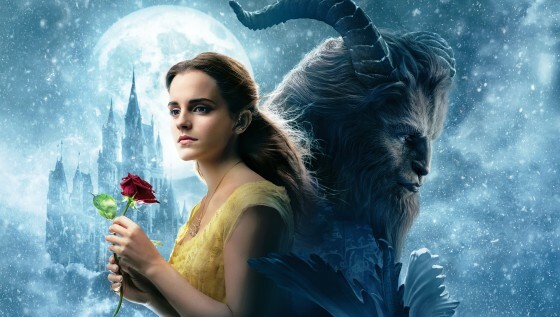 In its opening weekend, Beauty and the Beast (2017) made approximately $170 million domestically on an estimated $160 million budget. Impressive numbers to be sure but are box-office results the only measure of a films worth? No. The singing and pacing of the 1991 film is better than Condon’s film. This is especially obvious in the iconic moment when Belle walks, book in hand, through her “little town” singing. The chorus sung by the town folk sounds muddy and jumbled in comparison to the 1991 film. It’s simply not as crisp or easy to follow what they are singing. Some the CGI (computer generated imagery) could look more naturalistic especially when it comes to the Beast. That being said, there are some show-stopping musical scenes; a good example is when Beast’s enchanted servants sing “Be Our Guest” to Belle. 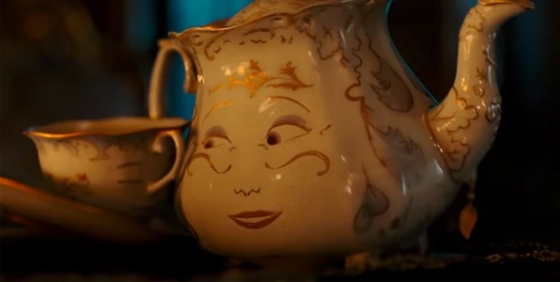 The CGI and the voice work of Ewan McGregor as the candelabra Lumière, Ian McKellen as the mantel clock Cogsworth, and Emma Thompson as the teapot Mrs. Potts works exceptionally well together. The CGI porcelain rendered for Mrs. Potts and her son the teacup Chip (Nathan Mack) is very well done. For those who have seen the film, or will see the film, and want to think about it beyond their viewing experience, the film’s most positive element is the breaking of the curse at the end. Christian viewers will want to think of it in connection to the resurrection of the dead on the Last Day where the sinner’s “beastly” nature is transformed—washed away forever—and Christ makes “all things new” (Revelation 21:5). There is even a brief moment to watch for when a statue of a Pegasus on the Beast’s castle is transformed into a statue of St. George and the Dragon, just one more image pointing to the defeat of evil and the setting right of all things. It is a fairy tale after all.